If you haven't heard, we're holding an event within an event this year. The fly-in, The Aviation Migration, will be held September 18th - 20th, of 2015. Within that event we will also be holding the Champs vs Cubs Challenge. But, it isn't just Champ and Cubs. Like all years before, most people and all aircraft are welcome. The challenge is merely the icing on the cake. If you plan to attend the event, be sure to buy a Champs vs Cubs shirt. If you do, and you wear it to the fly-in, you get in free. Otherwise, you'll have to purchase a ticket online in September. 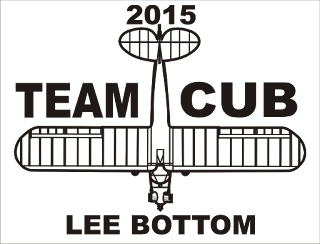 Click here to vote for Team Cub. On the other hand, if you would like to show your support for the fly-in but you cannot make the event, purchasing a shirt is a good option. It's a fun way to show which team, Team Champ or Team Cub, you support. Furthermore, the team with the most t-shirt sales counts toward the overall challenge win. Don't wait to get yours. They are only on sale from now until August 22nd. After that no more will be available. OK, now that you're sold on a shirt, how do you order? It's easy. Go to this link and order the shirt shirts you want by clicking on the Team Champ or Team Cub artwork. Or, you can just click on them below. 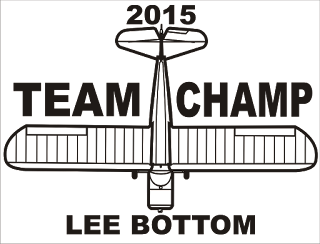 Click here to vote for Team Champ. Once you find your team's shirt, it's important you take time to look at all your options(see some of them below). We are offering more than one shirt and color. Looking at the page where you can see the shirt, you will notice below the Champs vs Cubs blue background artwork, it says "Available Styles." Click there to see all your options. Once you've found what you want, click on it and choose your preferred color. Next, click "Buy it now" and that will give you the options of how many and what sizes. Once those are chosen, you complete the purchase process. A special thanks to Sporty's, our area's American Legend Cub dealer, for their interest in this event and sponsorship. These items, and more, are available for purchase.